Globe reporters bring you the latest from game No. 15. Revis picks Brady. Looked like a miscommunication between Brady and Gronkowski. 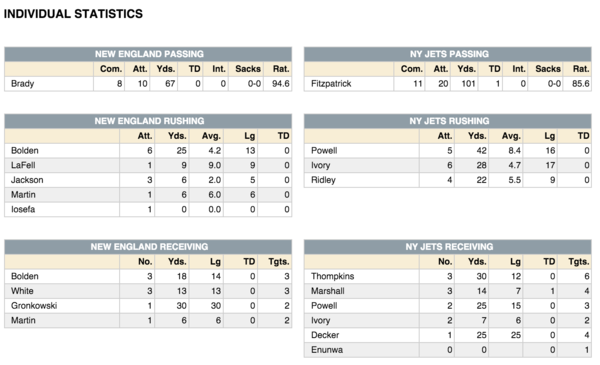 Brandon Marshall and Kenbrell Thompkins have more receiving yards (107) than Tom Brady pass yards (104). Another FG by Gostkowski draws Patriots within 17-6. It's the Jets who need this game more, and it looks like they want it more. Ruling that a Jamie Collins TD. 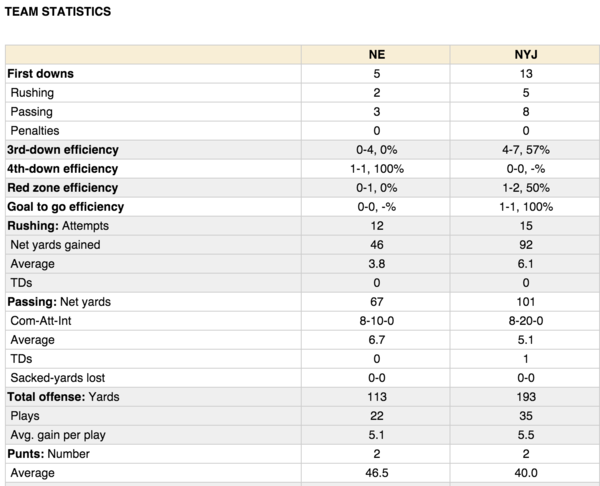 That also gives the Patriots at least one sack in all 15 games. A look at the Jabaal Sheard strip-sack, Jamie Collins fumble recovery return for a TD.